Looking for a fun cooking class experience? Look no further! 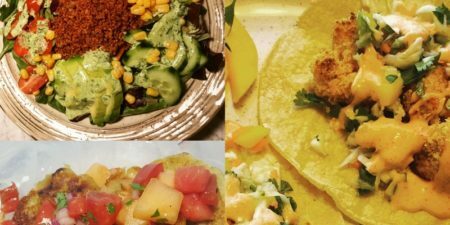 Join me for Healthy Eats first ever fiesta night! It’s no secret that Mexican flavors are some of the most loved, and who can deny the perfection of a taco! This is a hands-on cooking class and participants will be divided into groups to help make one of the dishes to share with the class. Come sharpen your cooking skills and learn some fabulous recipes to make at your own fiesta party with friends and family. Six recipes to make and taste in class as well as recipes to take home. Only 16 spots available, reserve your spot while they last and sign up a friend! (menu below).